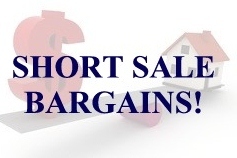 INVESTORS – Are you aware of how to benefit from “Short Sales”? Review the latest Palos Verdes Foreclosures trends, use our directory of California counties to see local foreclosure trends or search foreclosure listings for any City or ZIP code in the state. Our California housing and demographics data will help you understand the California real estate market. For more information on specific foreclosure properties, sign up for my Palos Verdes Foreclosures search utility Palos Verdes Foreclosures Filings—Notice of Default filings are the first step in the foreclosure process. Notice of Trustee Sale filings set the date and time of an auction, and serve as the homeowner’s final notice before sale. 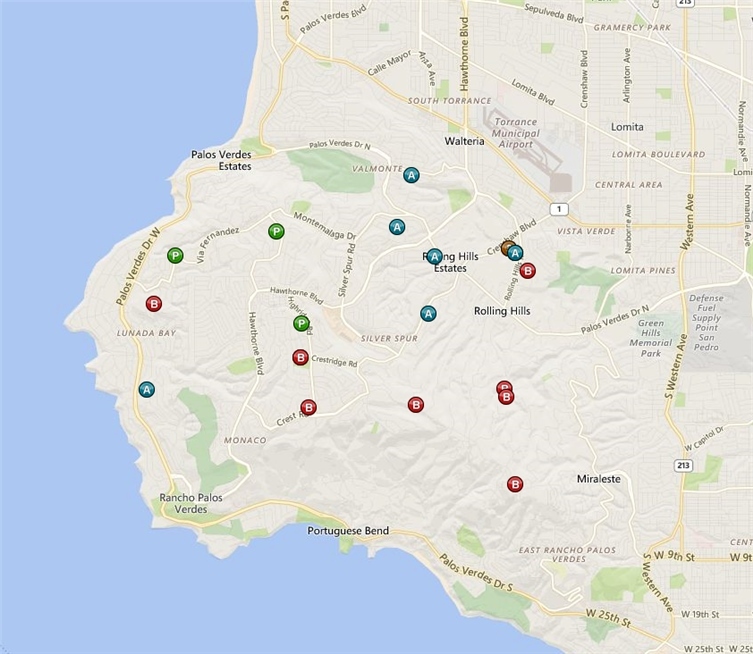 use form beneath this map to get information on Palos Verdes Foreclosure properties, including the bank owned homes not on the market. CALIFORNIA, NOVEMBER 2, 2016 – California single-family home and condominium sales were 35,842 in September 2016, a decline of 10.4 percent from August and a decline of 6.7 percent from 38,397 in September 2015. Year-to-date sales (January through September 2016) totaled 318,757 properties, down 3.7 percent from the same period in 2015. The median price of a California home was nearly unchanged at $434,500 from $435,000 in August but gained 6.6 percent from $407,500 a year ago. The median price of a condominium was $419,000, nearly unchanged from $420,000 in August 2016 but up 6.1 percent from $395,000 in September 2015. Within the 26 largest counties in California, on a year-ago basis, prices were higher in all but three counties. The counties with the largest annual gains were Monterey (+18.1 percent), Marin (+14.1 percent), Sonoma (+10.5 percent), San Bernardino (+9.4 percent), Santa Barbara (+9.1 percent). The number of homeowners in a negative equity position fell to approximately 450,000 in September 2016, a decline of nearly 115,000, or 20%, since September 2015. Look for our Focus on Bay Area Real Estate report next week. Cash Sales in September 2016 fell 11.4 percent from August and were down 7.3 percent from September 2015. Year-to-Date cash sales were down 7.4 percent compared to the same period last year. The decline in cash sales is mirroring the softness in the overall sales trends. Flip Sales in September 2016 was nearly unchanged for the month and down 9.7 percent over the past 12 months. In general, flip sales are lower this year than last due to the rapid disappearance of distressed properties and limited opportunity for a positive return on investment. Trustee Sale Purchases by LLC and LPs fell 22.4 percent for the month and were down 12.3 percent from a year ago. The outsized declines suggest that trustee sale data is incomplete for the month. Discounting the September data, trustee sale purchases have been trending mostly sideways since November 2013. Institutional Investor Purchases by LLC and LPs fell 8.1 percent from August 2016 but were up 5.0 percent from September 2015. Despite the year-over-year gain, investor purchases have trended mostly sideways since 2014. Institutional Investor Sales by LLC and LPs were nearly unchanged for the month but were down 19.2 percent from September 2015. Sales have been gradually trending lower since 2012. The gradual decline suggests the opportunity in holding properties outweighs the advantages of selling. Foreclosure Notices. Notices of Default (NODs) were down 15.4 percent from August 2016 and down 15.0 percent in the past 12 months. Notices of Trustee Sale (NTS) were down 11.4 percent for the month and down 11.1 from September 2015. Both NODs and NTS’ were likely impacted by September data delays. Foreclosure Sales were down 10.1 percent for the month and down 19.2 percent from September 2015. Foreclosure sales were also likely impacted by September data delays. Year-to-Date Home Sales – The sum of year-to-date sales of single-family residences and condominiums for the current year and prior years divided into distressed and non-distressed sales. 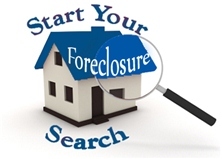 Foreclosure Inventory – Preforeclosure inventory estimates the number of properties that have had a Notice of Default filed against them but have not been Scheduled for Sale, by month. 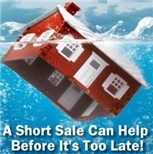 Scheduled for Sale inventory represents properties that have had a Notice of Trustee Sale filed but have not yet been sold or had the sale canceled, by month. Bank-Owned (REO) inventory means properties sold Back to the Bank at the trustee sale and the bank has not resold to another party, by month. California real estate data presented by PropertyRadar, including analysis, charts, and graphs, is based upon public county records and daily trustee sale (foreclosure auction) results. Items are reported as of the date the event occurred or was recorded with the California County. If a county has not reported complete data by the publication date, we may estimate the missing data, though only if the missing data is believed to be 10 percent or less.